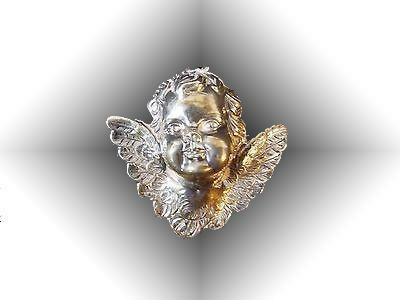 Large Sterling Silver Cherub Angel 3-D Pendant Repousse , RM Thursh Christmas Ornament . 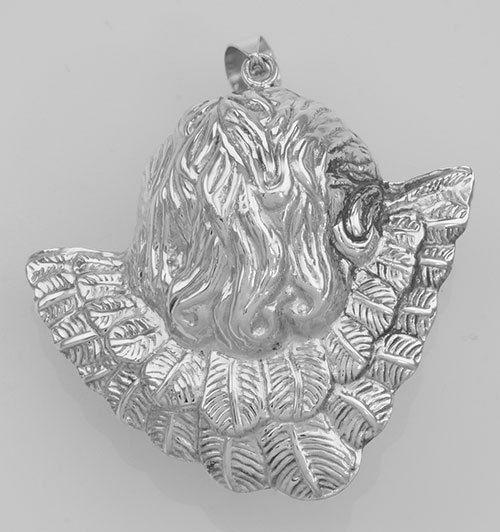 Sterling Silver Cherub Angel 3-D Pendant . RM Thursh. It pocesses much detail and fine craftsman ship. Weighs 20.4 grams. Marked on the bale 925 Measures about 2 1/4" x 2" x 1 3/16". Excellent condition.